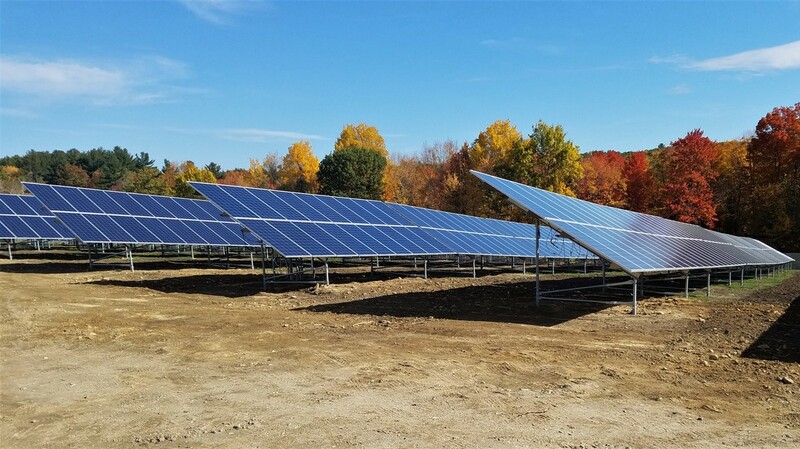 Nestled on land in the rear of an operating apple orchard, Fitchburg Solar is the first community solar array in the Unitil service area, allowing local residents and small businesses with unsuitable on-site conditions to access the benefits of solar energy for the first time.Due to technical and programmatic restrictions in Unitil's Massachusetts service territory, many area residents have been unable to qualify for on-site solar panels. Nexamp's Solarize My Bill™ program allows 45+ subscribers, who had previously been locked out of the new energy economy, the ability to save hundreds of thousands of dollars over the lifetime of the project.The neighboring town of Lunenburg receives additional electricity savings generated by the project through a stable, long-term power purchase agreement (PPA). Additionally, the project generates stable lease payments for the orchard that help mitigate seasonal revenue fluctuations and preserve ongoing agricultural operations on the property. Our residents are particularly interested in Community Solar given the difficulties they have had with utility interconnection for rooftop solar. Nexamp enrolled 40 Lunenburg households in two weeks' time [and] these residents are now set to save over $275,000 in electricity costs over the term of their subscriptions with Nexamp.